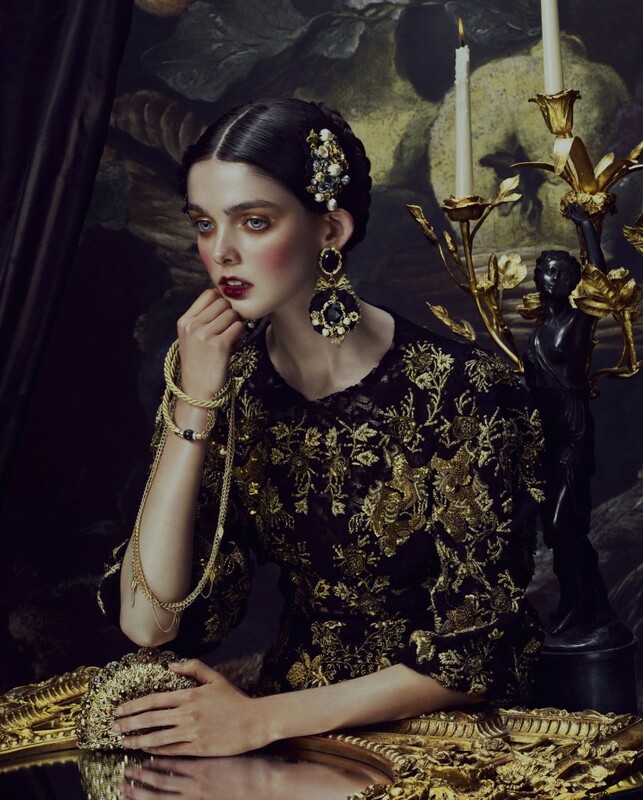 Fierce Creatures Editorial For Wmagazine: Baroque Style Soldiers. 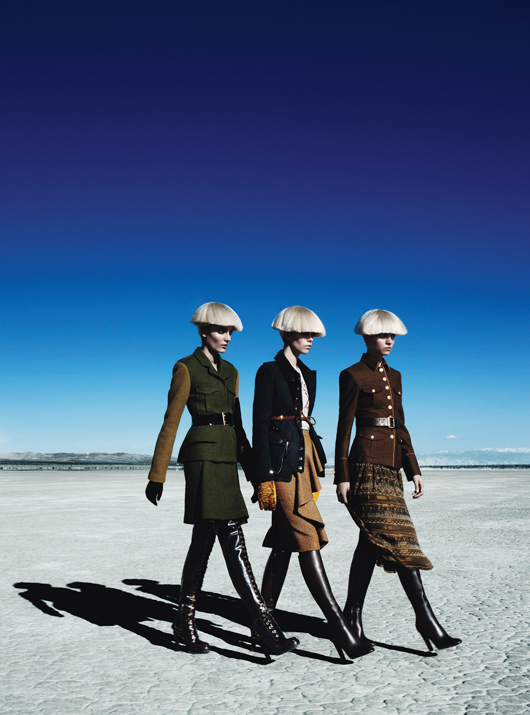 A futuristic Fall fashion approach in the Mojave Desert. From left: Chanel felt dress and gloves. Chanel etamine dress, stretch jersey pants, gloves, and shoes. From left: McQ Alexander McQueen wool felt jacket and skirt, belt, gloves, and boots. Burberry Prorsum wool and cashmere jacket, cotton T-shirt, wool skirt, belt, and gloves. Salvatore Ferragamo boots. Salvatore Ferragamo wool jacket, silk skirt, belt, and boots. From left: Junya Watanabe Comme des Garçons wool jacket, turtleneck, skirt, trousers, and shoes. Stylist’s own bonnet. Giorgio Armani wool jacket and pants, and shoes. Stylist’s own bonnet. Miu Miu jacquard jacket, gazar shirt, jacquard pants, collar, necktie, belt, and shoes. Wolford socks. From left: Louis Vuitton embroidered virgin wool blend coat, embroidered acrylic and wool dress, silk gabardine pants, hat, and pumps. 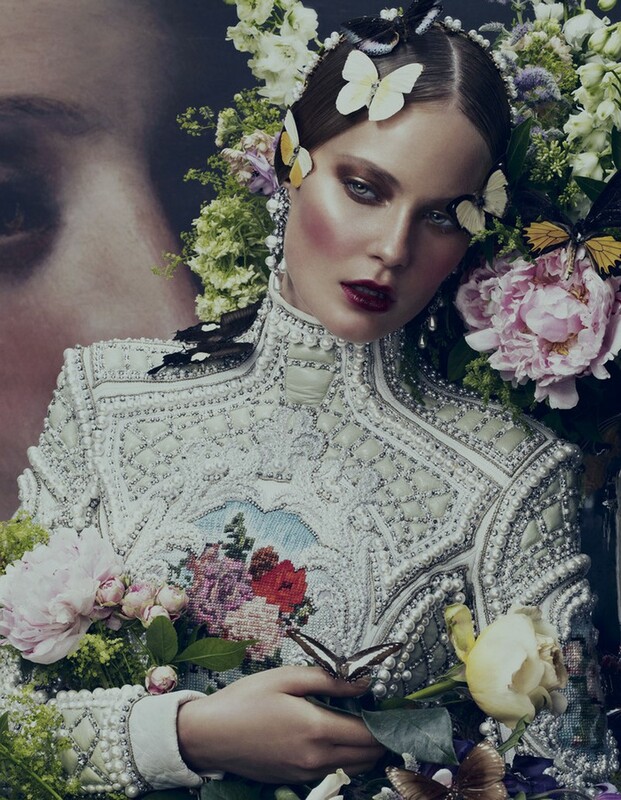 Louis Vuitton jacket, turtleneck, embroidered jacquard dress and pants, hat, and shoes. Prada wool coat and pants, and shoes. From left: Alexander McQueen organza gown, visor, and sandals. Alexander McQueen organza dress, visor, and sandals. Comme des Garçons wool felt coat and clogs. We Love Colors socks. 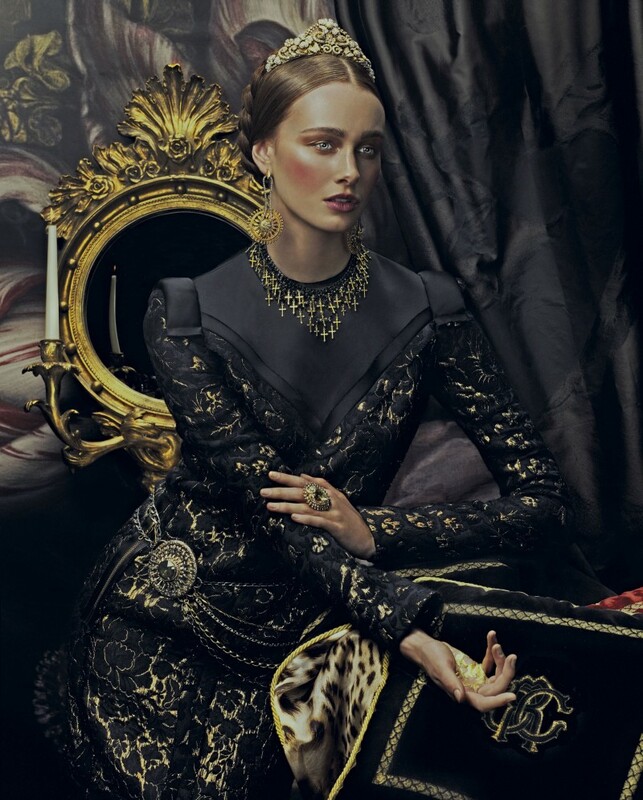 From left: Tom Ford velvet and silk gown, necklace, belt, and cuff. Stylist’s own bonnet. Bottega Veneta organza embroidered velvet gown and boots. Stylist’s own bonnet. 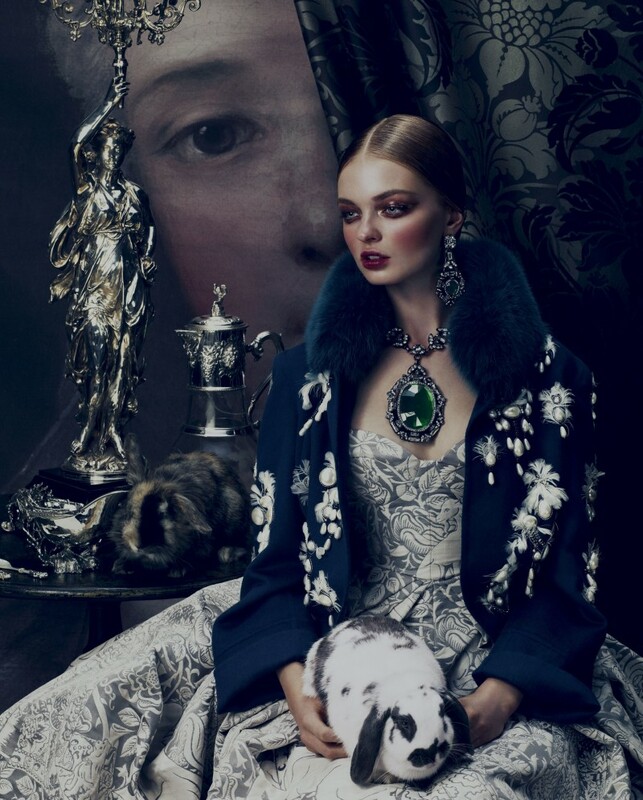 Gucci georgette gown and necklace. Stylist’s own bonnet. From left: Balenciaga by Nicolas Ghesquière wool sweater, nylon skirt, earrings, gloves, portfolio, and boots. Balenciaga by Nicolas Ghesquière silk and viscose jacket, viscose tank top, wool skirt, earrings, gloves, bag, and boots. From left: Yves Saint Laurent leather top, silk skirt, necklace, belt, and gloves. Givenchy by Riccardo Tisci satin and lace dress, leather skirt, earrings, scarf, gloves, and boots. Valentino calfskin cape, chiffon and poplin blouse, and calfskin skirt. From left: Dior silk and wool satin blouse, silk gazar skirt, necklace, and pumps. Jil Sander cashmere coat. 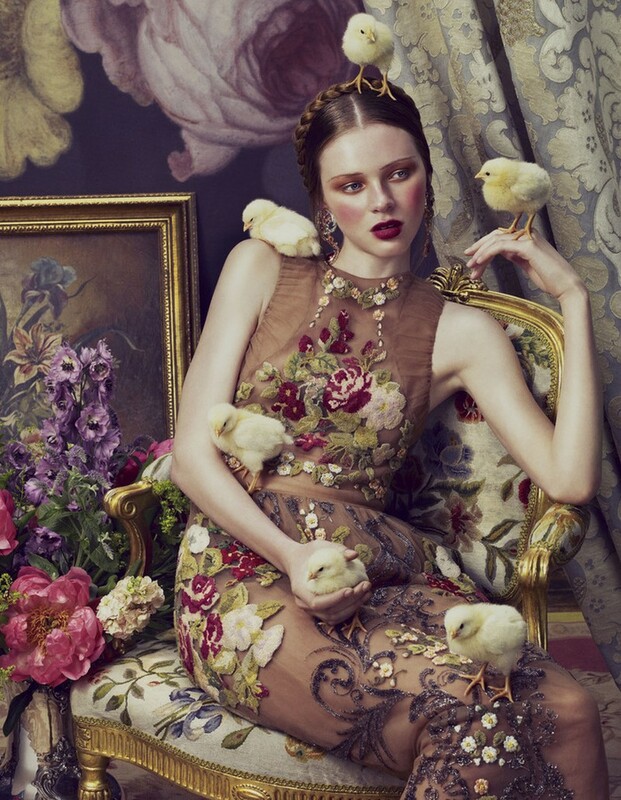 From left: Dolce & Gabbana embroidered tulle bustier, embroidered wool skirt, stockings, and booties. Versace silk cady dress and boots. From left: Fendi goat-fur and mink coat and wool skirt. Lanvin goat-, fox-, and raccoon-fur coat, necklace, and gloves. Céline fur coat, leather shirt, and silk pants. 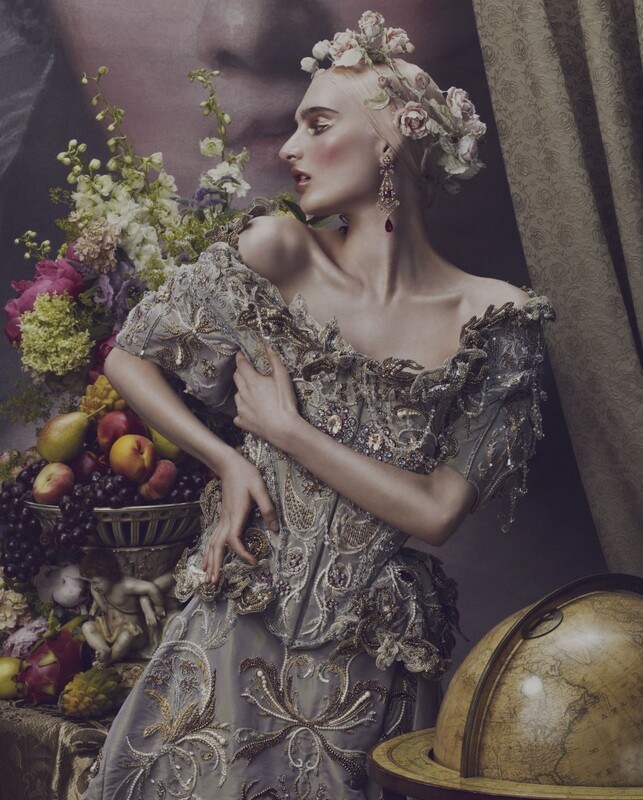 Andrew Yee for How to Spend it Magazine, Baroque Style.